A mixture of cotton and polyester is most commonly used in industrial cleaning. Polyester does not absorb. 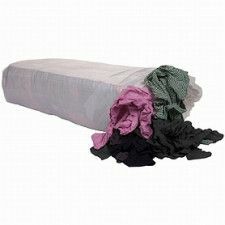 The rags are usually used to wipe something away, not to make something clean. Wiping a large amount of grease or oil from a surface is the most common application. Minimum quantities are per pallet. 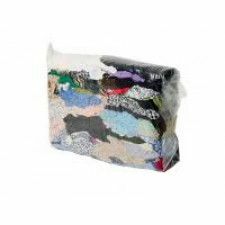 These polishing rags are made of mixed fabrics. They are made of synthetic fiber polyester and cotton and are very suitable for heavy and specialized jobs where vulnerable surfaces have to be cleaned or wiped. Mixed cleaning rags are easy to use in combination with solvents or solvents and are perfect for environments where food is used. They can also be reused. The combination of cotton and polyester results in a very strong cleaning cloth that meets the requirements in the automotive, printing and painting industries.